Renter must complete the Beginner Longarm Quilting Class before renting the machine. For a PDF Download of This Page Click Here. or in Person at the Shop. This 2 hour class is a beginner hands-on, one-on-one class taught on our BERNINA Q-24 Longarm machine. 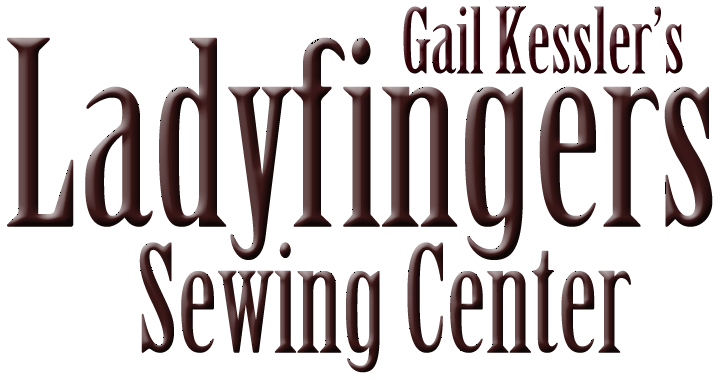 You will learn how to prepare your top, batting and backing, load and baste your quilt, attach zippers and receive instruction on proper use of the machine. We will cover basic free-motion quilting from the front of the machine and quilting overall pantograph patterns from the back using a laser light to follow the pattern. A quilt sandwich will be provided to practice on. By the end of the class you will have the been given the knowledge to quilt an overall design on your quilt. There is an inherent art to quilting that will blossom over time as you practice. When you come for your First Rental - after you have taken this class: We suggest beginning with a small simple project and progress to larger more complex quilting designs as your skills develop. CLASS SUPPLIES YOU WILL PROVIDE: Patience and the willingness to learn. Time must be Booked in Advance via Phone or at The Shop - 2 hour Minimum and Pre-Paid at time of Booking. IMPORTANT: There is a $25 fee if your session is canceled or rescheduled within 24 hours. To book time, please call us at 610-689-0068. Our machine will be cleaned, oiled and ready for you to start. A fresh needle will be supplied. Your charges start at the time of your reservation. Your access to the machine begins at that time. We recommend that you plan to arrive early enough to pick out patterns, etc. before your rental starts. Use of the cutting table to square-up your batting and backing, or to trim your quilts after you are finished quilting, but please bring your own rotary cutter. You are responsible for cleaning up after you are finished your session, including picking up loose thread, putting away tools, thread spools, etc. Zipper leads: They are required and are reusable. They reduce the time needed to load the quilt and can be put on at home to save rental time. You will learn in class how to install the zippers on your quilt and see how useful they are when you are unable to finish your quilting in the current session. Simply unzip your quilt from the Q-24 machine and when you return, you zip your quilt back on and you are ready to continue. Thread: Thread is Not Included in your rental fee. The Q24 performs best with Isacord and Aurifil threads. Bobbins: BERNINA Q-24 Specific Bobbins are required. Being prepared saves time and reduces anxiety the first time you rent the machine. Have your backing BASTED to the Zippers - Wrong Side Up. Make SURE you have sized your Batting and Backing to be 5" to 6" larger than your Quilt Top on ALL SIDES! Bring all your supplies, or purchase what you need at the shop before your rental time begins. For the protection of yourself and your quilt: Please do not wear very loose fitted clothing, dangling necklaces, and tie back long hair. Please do not place any food or drinks near the machine. Be patient, relax, take your time and above all enjoy yourself! What happens if I finish in less time than I booked -- You will not receive a credit for any time not used as that time has been reserved for you. What if my quilt isn't finished by the end of my session -- You can add additional time in 1/4 hour blocks, if the time is available, for an additional charge.